Seth Shostak’s humor and insight are well known to any who have read his previous works, listened to his SETI podcast, or heard him speak in person. His latest book is a great summary of the first 50 years of our search for extraterrestrial intelligence (ETI). He writes about the impact the world would see if we found evidence of ETI. Most likely we would absorb it with far less rioting than is found after a team wins the NBA championship. In fact, SETI has had practice dealing with this possibility already due to false alarms such as the one involving the star EQ Peg in 1997. A lot of this book has to do with the extreme viewpoints on SETI. On the one hand are those who not only believe ET exists but that they are here already and it is only the government, that entity with the fantastic ability to keep a secret, which suppresses the evidence. Many of these have a particular tough time with Shostak because he has this habit of a) actually talking back to these folks and b) points out where they couldn’t possibly be correct, at least based on current evidence. On the other hand there is scientific evidence available to show why we think ET looks a certain way (the way a baby sees his mother) and why people think they have been abducted (the paralyzed feeling during dreams). But I think one reason the Roswell crowd has a problem with Seth is that they see themselves in him. Specifically they see someone who believes ET exists (somewhere) and a person who really wants to find them. But Seth does it professionally and, more importantly, scientifically. So when he points out how bad their evidence is, his detractors call him closed minded and a lot of things worse than that. The other extreme on the ET scale are those who think that we are the only intelligent (note: meaning smart enough to build a radio) species in the universe or practically speaking the only one. There is no evidence to support this claim except Fermi’s Paradox and the possibility that earth-like planets are very rare (see Peter Ward’s “Rare Earth” but Ward thinks SETI is a worthwhile endeavor). Fermi’s Paradox asks the question “where are they?” Shouldn’t ET have visited by now and, for that matter, shouldn’t SETI have more to show for 50 years of looking? But astronomers tried for 2000 years to detect stellar parallax before finally succeeding in 1838. Until then, the lack of stellar paradox could be used to argue that all stars are equidistant. Those astronomers, when they get an idea like stellar parallax in their head they can be awfully stubborn. Add the advantages of Moore’s Law to that stubbornness and you can see why SETI researchers are more optimistic today than ever. 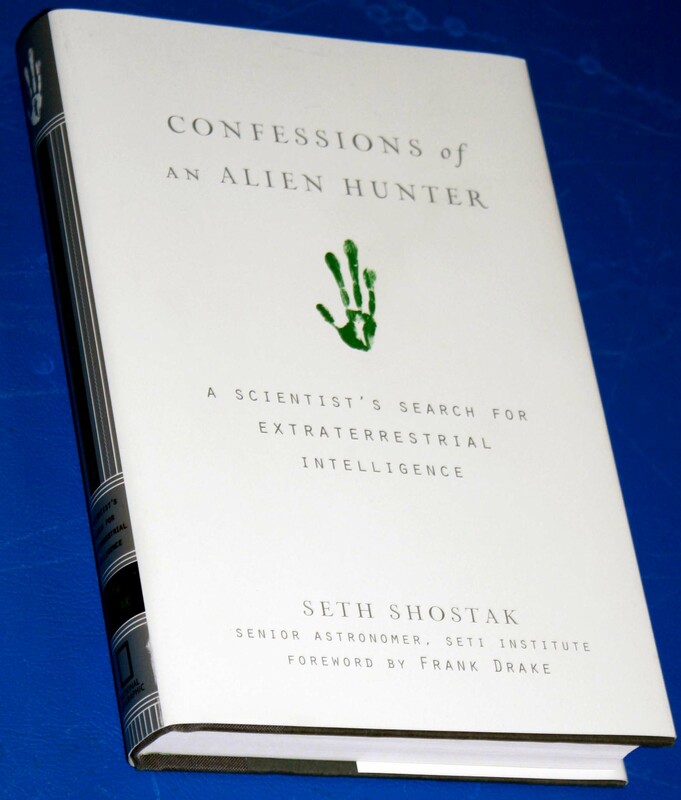 The book also goes into many anecdotes in Shostak’s career including the EQ Peg false alarm mentioned above, the “face” on Mars, the Allan Hills meteorite from Mars, the defunding of SETI by NASA, and the strange things people ask him in person or by e-mail. Shostak also gives concise but reasonably complete descriptions of Lowell’s Martian canals, the 1947 Roswell incident, and the 1976 Viking experiment that was intended to detect life but most likely did not. The Ohio State “WOW” signal did not rate a mention. I didn’t find any typos in this book and I think I have a fairly early printing. The one error I think I see is on page 25 when he says that Copernicus’s De Revolutionibus arrived “half a century before Columbus’s discovery of the New World”. I think that 1543 is 51 years AFTER 1492. One other minor quibble is that the book did not discuss the idea that the ETI most likely to have detected us would be a civilization that can see the Earth transit the Sun. Shostak has worked on this theory with Richard Henry and Steven Kilston. This book gets 5 stars because it concisely gives a complete summary of SETI and directly answers the naysayers. It does not unnecessarily rehash information from previous books such as “Sharing the Universe”. 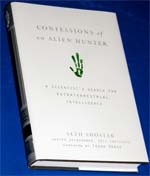 Nor is the book intended to be an advocacy for SETI. (If you want that, please see their website at www.seti.org. ) The combination of anecdotes and science and more than a few laughs make this a great read. Like Copernicus and Darwin, Shostak and colleagues may be close to a discovery that will forever change humanity’s place within the cosmos.